Free USA Shipping. Orders ship every Monday. First in a 2-book series. Second book released Summer 2019! 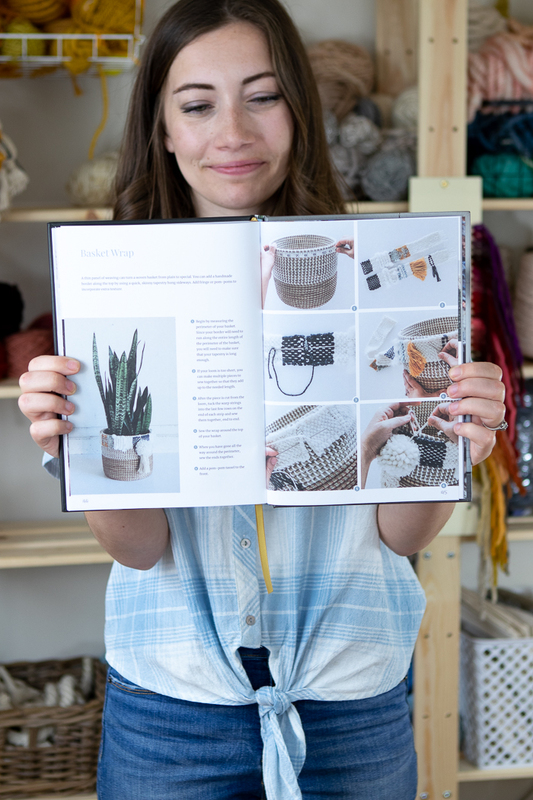 I am so excited to announce my first book, Welcome to Weaving: The Modern Guide! This project has been a dream of mine. 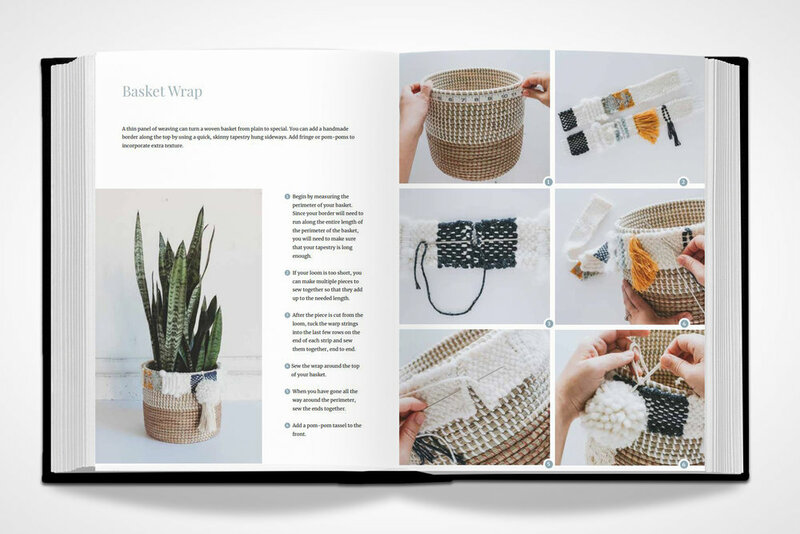 My weaving video classes have been enjoyed by thousands of students around the world, and now you can pre order a physical copy that highlights the same techniques, plus more in a beautiful book. This book includes techniques and projects for beginner to intermediate level weavers. You will learn basic skills and terms, such as ‘warp’ and ‘weft’ as well as intermediate techniques such as patterns and embellishments. The projects are designed to inspire ongoing creativity, from simple practice tapestries to woven projects such as a necklace, and YES, even a chandelier. All of the techniques and weavings can be completed on the loom you make yourself at the beginning of the book, or any loom you have on hand! *Surprise! This book is part one of a two-book series. 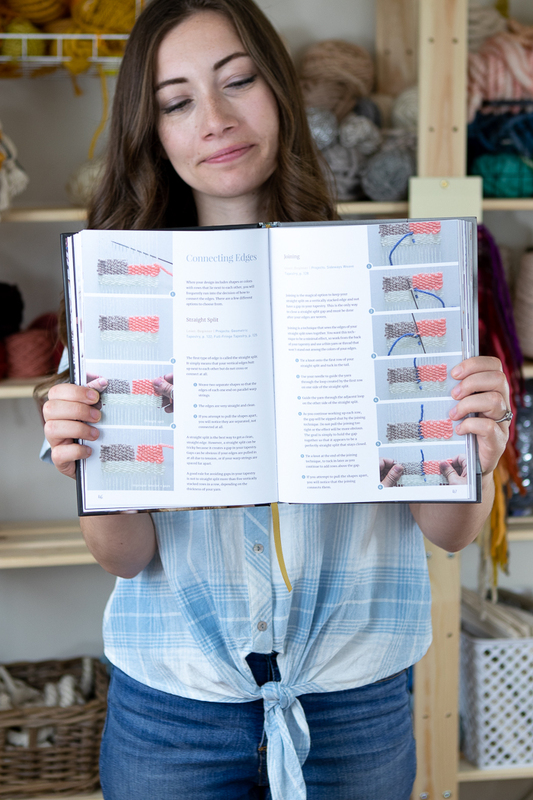 Look for Welcome to Weaving 2, which launches Summer 2019 for intermediate-advanced techniques and projects. The two books are meant to work together, so you will definitely want to begin with this first book!